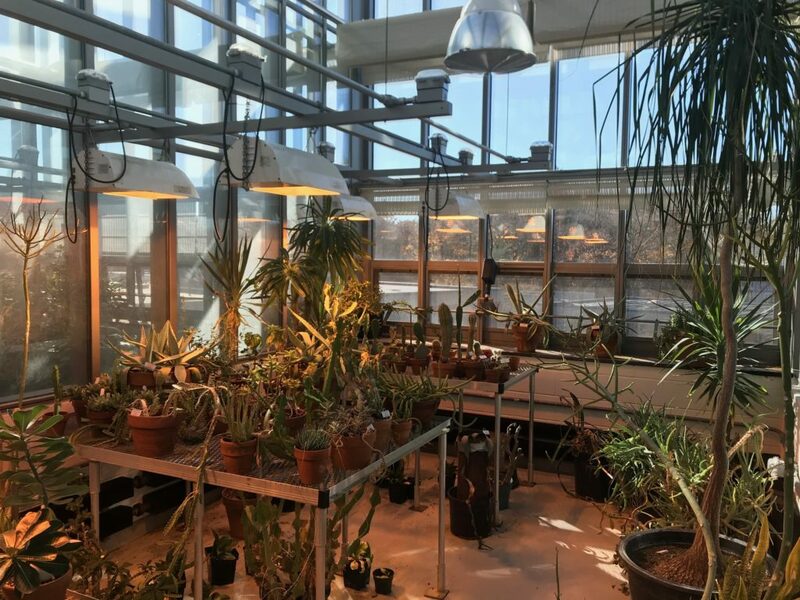 The Wheaton College Greenhouse is dedicated to the research and exhibition of plant species native to a variety of climates. The 1,200 sq. ft. glass greenhouse was built on the rooftop of the LEED Gold Certified MARS Science and Technology Center. The MARS Science and Technology Center opened in 2013. 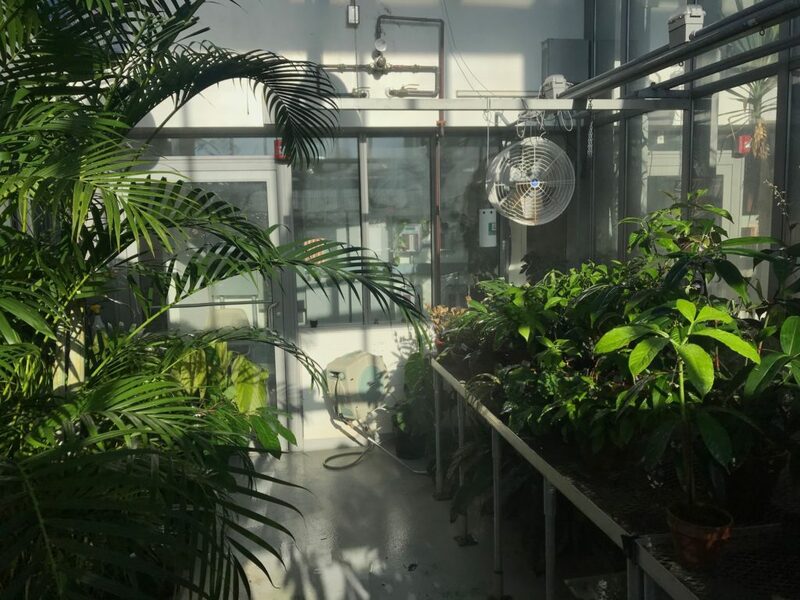 The facility features four greenhouse spaces, each monitored with an automated environmental control system that can adjust the heating, cooling, ventilation, lighting, and shading of each greenhouse as needed. 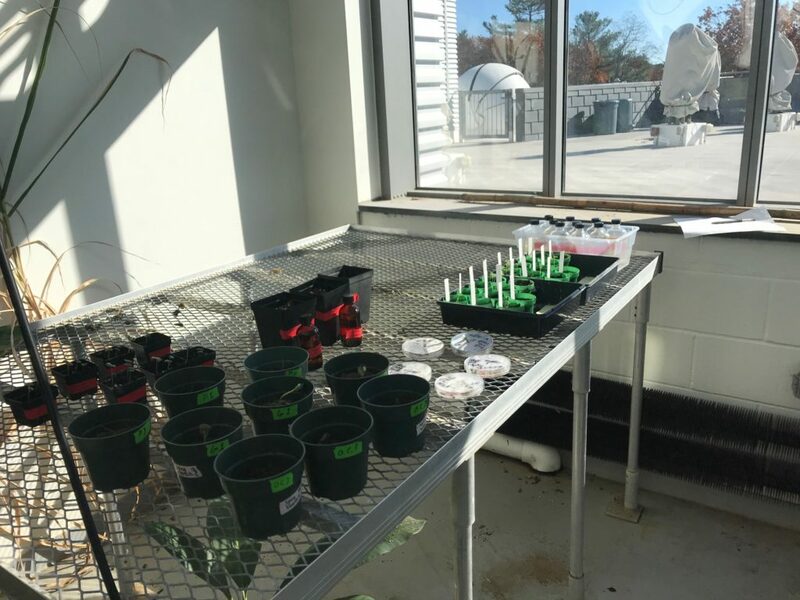 The greenhouse provides laboratory materials and space to Wheaton students. 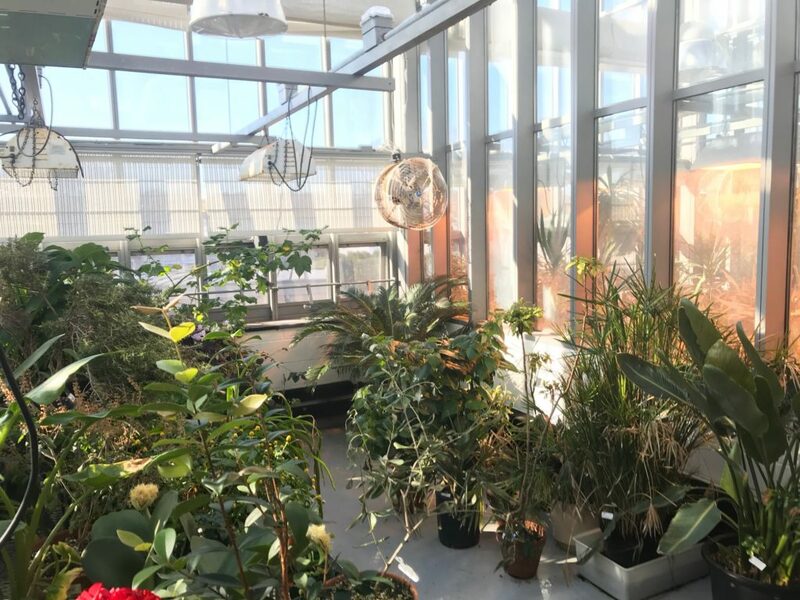 Students taking biology, ecology, genetics, and a variety of arts courses use the greenhouse for both independent and course research work. 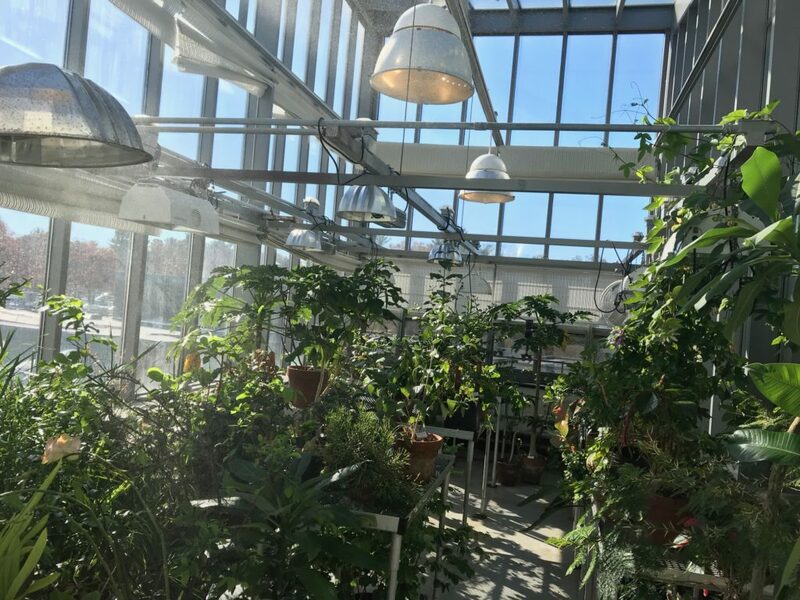 Many research opportunities for students interested in environmental science, biology, and genetics are provided by the greenhouse. 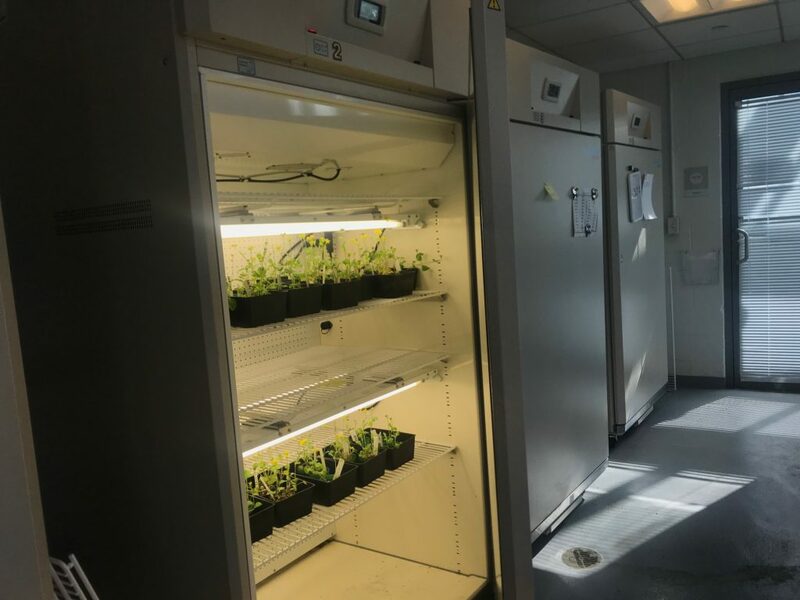 Four growth chambers provide students and faculty the ability to have control of light, humidity, and temperature within the closed chamber. Groups or individuals are welcome to visit the greenhouse. It is open to the public and Wheaton invites you to tour the facility. Contact Ben Robbins, Greenhouse Horticulturist, at robbins_benjamin@wheatoncollege.edu.